Not surprised by this, as I’ve been suspecting Xenoposeidon to be a rebbachisaurid. Now you have to rediagnose Xenoposeidon. I’d be interested to include Xenoposeidon in the phylo/palaeogeographic of Rebbachisauridae discussed in the Tataouinea PloS One paper. Interesting, Andrea. What were the features that made you suspect Xeno had rebbachisaur affinities? 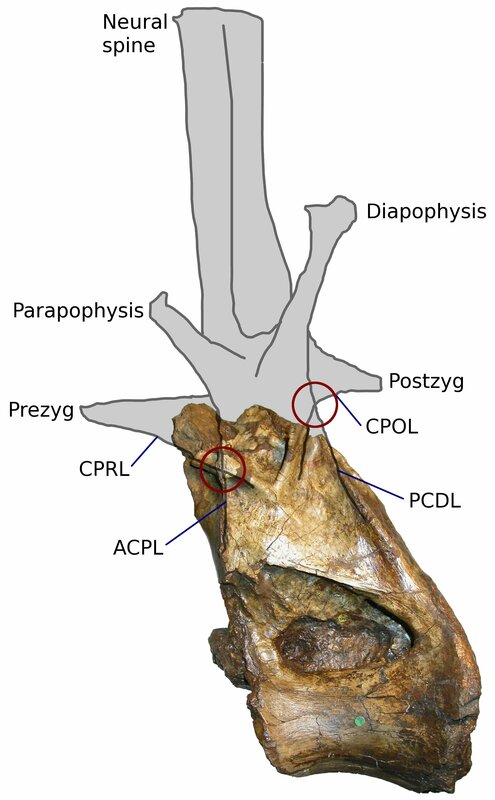 Yes, Mannion, Upchurch and Hutt’s caudal is also relevant and of interest here. Thanks for the reminder. It would indeed be interesting to code Xeno up into the matrix of Fanti et al., and indeed the more recent one of Wilson and Allain. I doubt I’ll do it, though — it would be a lot of work to come up to speed with TNT, and we’d not be likely to learn anything. 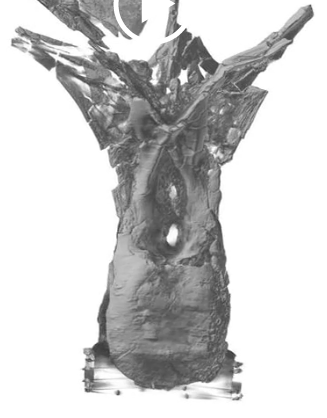 I know from experience that Xeno, like other very fragmentary taxa, just tends to bounce around trees destroying the resolution for everyone else until you have to delete it a posteriori. Well, the marked dorsoventral extent of the neural arch pedicel compared to the relatively depressed centrum reminded me to rebbachisaurids. In some rebbachisaurids the zygapophyseal facets are comparably high. As you note, the fragmentary nature of Xenoposeidon makes any placement very weak. I’d score it in our phylogeny in the feature, just to see if turns among rebbachisaurids and how its spatio-temporal placements affects the palaeogeographic analysis. …Analyse it in PAUP*, then? 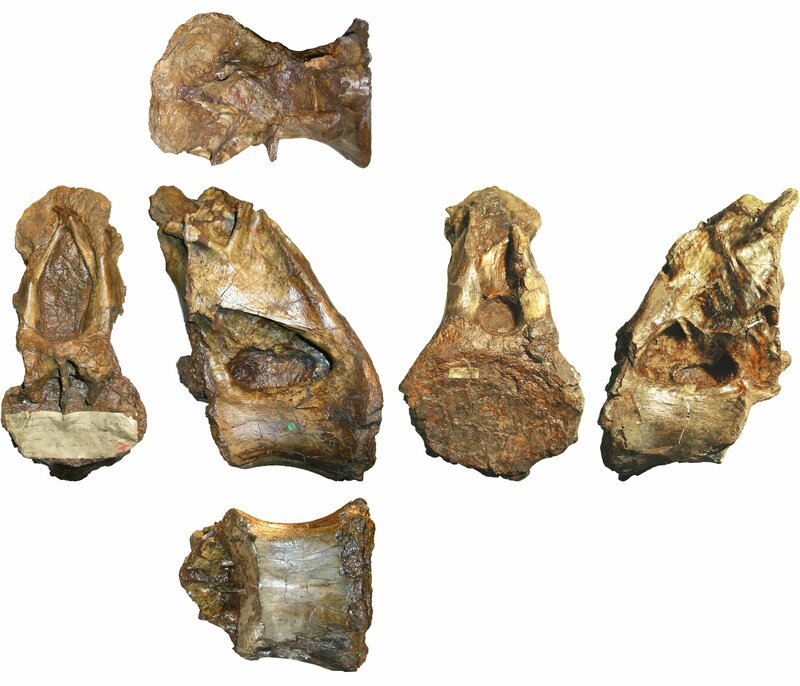 Well, I don’t think those Titanosaurus nanus dorsals are very Xeno-like at all; but you’ll recall that in the original paper we did entertain (and have still not ruled out) a titanosaurian identity. What I really ought to do when I have time is code it up for one (or more) of the big new matrices and see where it falls out in 2015. Strange to think that Xeno is eight years old now.